About the Hike: Once a sanctuary for Takelma Indians, today these cliff-edged mesas near Medford are a haven for hikers and endangered wildflowers. 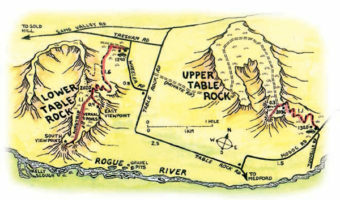 Views from the cliffs extend across the Rogue River to the Siskiyous and the Cascades. Visit in spring to catch the best flower displays and to avoid summer’s merciless heat. Dogs, horses, fires and flower picking are banned on both Table Rocks trails. 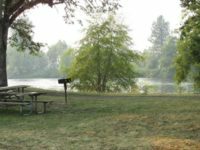 This is a beautiful day-use park located on the bank of the Rogue River and at the foot of the geologically prominent Table Rocks. You can picnic, fish, launch your boat, swim, hike, watch wildlife and experience nature at its finest. An ideal spot for family gatherings or group picnics, the site has a large picnic shelter with cooking utilities. There’s a smaller picnic kitchen and three sites with water and electricity. Denman Wildlife Refuge is next to this park and teems with local and migratory wildlife — a bird viewing paradise. Salmon and steelhead pass through seasonally on treks to and from the ocean. Rainbow trout are stocked by the Oregon Department of Fish and Wildlife. A boat ramp with toilet facilities provides excellent access to the river. 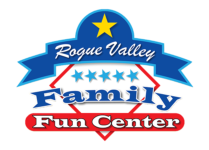 The Rogue Valley Family Fun Center boasts the #1 destination for Family Fun! Featuring Go-Karts, Miniature Golf, Bumper Boats, and Batting Cages there’s something for everyone to enjoy. Located just right off the I-5 next to the Expo Center, its easy to get to and has lots of parking available. Stop in for an afternoon activity or rent out the facility for private events! Crater Rock Museum houses the finest displays of rocks, minerals and gems on the West Coast. Exhibits include a collection of world-class minerals, collection of petrified woods, fossils, Native American artifacts, and much more! The museum gift shop is filled with the works of local artists from the Roxy Ann Gem & Mineral Society. The museum started out as a humble “shack” where locals could visit and perhaps ask about an interesting rock, or to gather around as a group and share “rock hounding” stories. The original 5,400 square foot museum is now more than 12,000 square feet, housing community meeting rooms, a larger gift shop, workshop, and exhibit areas. Guided tours are available by appointment. We also offer meeting facilities to house one-time gatherings, or on-going weekly or monthly business sessions. This is the City’s largest park and includes a sports field, tennis and basketball courts, walking paths, a playground and a spray park! The water park is open for the season on the Friday before Memorial Day in May and closes the last weekday of September. During summer hours the water spray park is open from 10 AM to 8 PM. The Oregon Fallen War Heroes Memorial is a comprehensive remembrance (from 1859) of the citizens of Oregon lost to the Civil War, Spanish American War, World War I & II, Korean War, Vietnam War, Operation Desert Storm and the Iraq War. Medford Dragstrip is an NHRA sanctioned 1/4 mile drag strip located in the Jackson County Sports Park, just north of the Medford City limits. The raceway has been in existence since 1979. It is currently operated by Medford Dragstrip, Inc., a non-profit 501(c)(3) corporation.